have a meeting within the next 30 days for 150 pax or less? head over to our online system and BOOK a meeting space in a matter of minutes! Key in the number of people, duration and date of event and hit "Pick A Room". 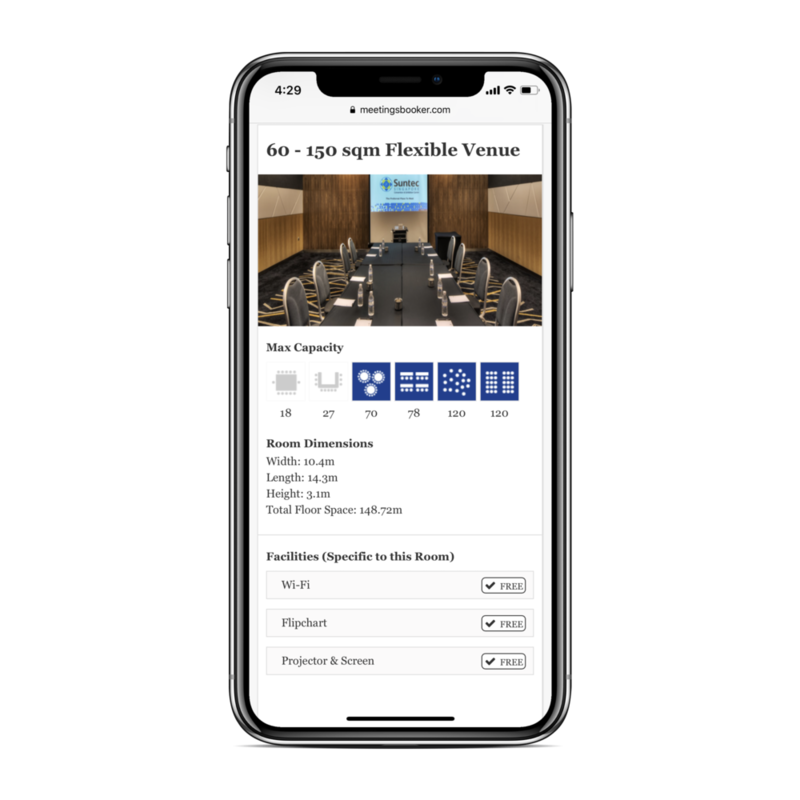 The system autoMATICALLY populates a list of meeting spaces that matches your event requirements. Pick a space from the list that best meets your needs! Select your room layout, F&B requirements AND any additional equipment you might require! proceed to make payment and wait for your confirmation email. Once that is in, you're good to go! ©2018 Suntec Singapore. All Rights Reserved.